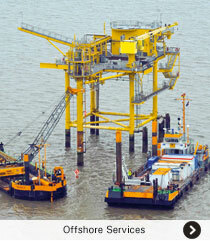 150 years of experience in hydraulic engineering have made Colcrete - von Essen the leading specialist. Complex construction projects such as the construction of harbours, breakwaters, moles and groins stand as examples of our extensive range of supplies and services. Colcrete – von Essen is operating throughout Europe. 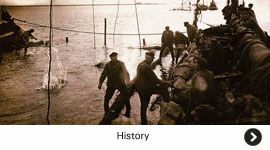 In inland waterways, such as canals and rivers, in the coastal areas of Germany, the Netherlands, Poland, Scotland and Sweden as well as offshore in the North and Baltic Sea. For the realisation of its hydraulic engineering projects Colcrete – von Essen can rely on in-house innovations, comprehensive know-how, highly qualified employees and a large equipment pool. 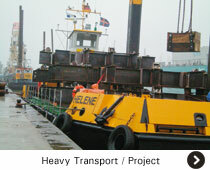 This equipment pool is also available for rental, for offshore services as well as for heavy transports and project cargoes.